A bed bug infestation in your home is the result of coming into contact with something that is infested with bed bugs and a family member or guest unknowingly brings them inside. How does a person get bed bugs? Common bed bug breeding grounds include hotel rooms, dormitories, sleep-away summer camps, used bedding, and movie theaters to name a few. Once a bed bug has been introduced to your home, the following elements need to be present to prolong their existence. A host – Bed bugs need to feed on blood meal to survive. Without a host, they do not have a source of nourishment. A place to hide – Bed bugs do not want to be found or disturbed. The most common hiding areas in a bed are the back of headboard or under box spring. Climate – Bed bugs prefer to live in areas that are 70-90 degrees. Bed bug bites can be identified by the location on your body, the coloring, and pattern. There are common characteristics of bite manifestation, but the effects can vary from person to person. The bites are typically located on the upper body where skin is exposed such as your neck, chest and arms. Bed bug bites are very itchy and look like red raised welts that are similar to mosquito bites, in lines of 3-4 or more. A visual inspection of the skin does not necessary confirm the presence of bed bug activity at your home. Only a professional on-site inspection can confirm a bed bug infestation. Bed bug infestations spread when an individual comes into contact with bed bugs and unknowingly brings them somewhere else. They are transported as stowaways, hiding in luggage, couches, beds, pillows, or backpacks to name a few. 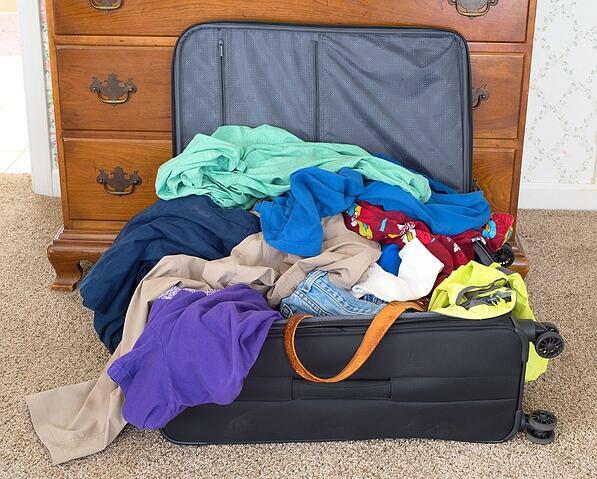 Bed bugs cling to moving items like briefcases and can easily fall off, allowing them to relocate and spread. It’s also a common occurrence that bed bugs lay eggs on these items. As the host moves, they can fall off and hatch far away from where they originally came from. How do bed bugs get into schools and work places? You can find bed bugs at schools and office buildings when they latch on to something like a fabric bag or even clothing. In grade schools, it could be backpacks and in an office setting, it could be a laptop bag. Either way, the bed bugs need to come from a home with an active infestation. The problem with spreading bed bugs is that someone may not know that they have an infestation. Bed bugs are nocturnal insects and lead a very cryptic lifestyle. As a result, bed bugs are often present for weeks or even months before a single bug is ever seen by the occupants of an infested structure. Why are there bed bugs on planes? 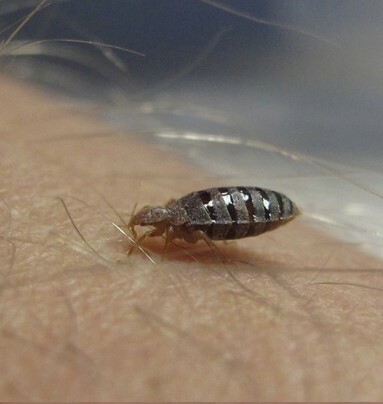 Recently the media has drawn a lot of attention to the increasing claims of bed bug infestations and bites from passengers during flights. The most current incident brought to light is the bed bug infestation on a British Airways flight from Vancouver to London in October of 2017. While the claims have been publically recognized by the airline, passengers are now more nervous than ever to board planes, regardless of the carrier. In reality, it’s not out of the realm of possibility that bed bugs would hitch a ride on a plane. Many passengers are traveling on vacation or business and staying in hotels. With the coming and going of customers, hotels are notorious breeding grounds for bed bug infestations. Without following proper precautions during a hotel stay, it’s likely that if bed bugs are present, they could latch onto your luggage or carry on and make their way onto a plane. Are bed bugs attracted to certain colors and sweaty clothing? According to studies conducted by the University of Florida and Union College in Lincoln, NE, bed bugs prefer the color red and black while avoiding yellow and green. There is a lot of speculation as to why this behavior occurs, but there is no definitive answer. The consensus is that bed bugs prefer red because they are red. Bed bugs tend to congregate in small groups, making entomologists believe that they are seeking out other bed bugs. Brighter colors that attract bed bugs like yellow are speculated to mimic light to bed bugs, which is something that they avoid for survival. Read our blog post linked here to learn more about bed bugs and color preference correlation studies. According to William Hentley, an entomologist at the University of Sheffield in the the United Kingdom and his research team, bed bugs are attracted to dirty, sweaty clothing. Studies showed that bed bugs were twice as more likely to be attracted to dirty clothing than clean clothing. In his findings, Hentlely states that “Bed bugs are attracted to the odour of sleeping humans, and we suggest that soiled clothing may present a similarly attractive cue, allowing bed bugs to ‘hitch-hike’ around the world after aggregating in the laundry bags of travelers.” This sentiment is echoed throughout the scientific community, even endorsed by Doctor of Entomology and Vice President of Cooper Pest Solutions, Rick Cooper. What’s the solution? Keep clothing off of beds when traveling, and instead, keep them on metal racks in closets away from fabric of any kind. Bed bugs remain difficult to tackle and require intensive biological insight for industry development. Research programs through esteemed universities such as Penn State are working to develop more naturally-derived, fungal based treatments to eliminate bed bug infestations. Their efforts to more easily fight the naturally high resiliency of bed bugs continues as there becomes a higher demand for quicker, more efficient, eco-friendly solutions. Cooper Pest Solutions provides guaranteed elimination bed bugs services for residential homes in New Jersey and Eastern Pennsylvania. To be a candidate for our bed bug treatments, you need to meet the following requirements. If you are not the owner of your property, you need to have your landlord contact us for more information. Most apartment complexes and property managers already have a dedicated pest control company that they have contracts with. For that reason, we cannot work directly with a tenant without the landlord’s permission. To learn more about what to do when bed bugs are in your apartment, read our blog post here. There is a $125 consultation fee associated with the initial bed bug inspection. Our bed bug specialist will visit your home and spend about an hour, thoroughly inspecting for evidence of bed bug activity. Our “No-Prep Philosophy” developed by our sister company BedBug Central conveniently allows bed bug inspections and treatments to take place without the homeowner spending countless hours preparing the home. If you believe that you are experiencing bed bug activity at your home, please give us a call at 1-800-949-2667 or fill out our contact form to speak with a representative and schedule an inspection.